If your submission wasn’t posted, then it’ll be used next week. Thanks to everybody who sent links in. Now I need Bloody Chops for Saturday, so horror blogs, start a-bloggin! weeklylambchops@gmail.com! 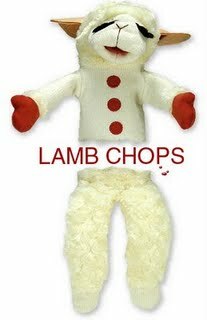 Question: What exactly is Lamb Chops? What are you looking for in submissions? Just posts that you think are so awesome you want the entire world to see/read them. They can be something you wrote or, perferably, something someone else wrote. That’s about it really. What happened to Choice Chops? I wasn’t a fan of the Choice Chops, having to single out just one link like that, so Fletch said I didn’t have to do it if I didn’t want to. If Blake returns and he wants to bring it back, it’s on him.